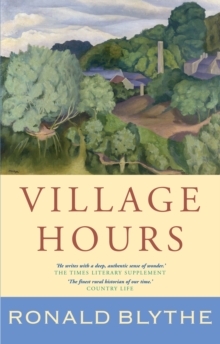 What happens in an old farmhouse when the farmers have left? Perhaps only a poet-historian-storyteller can say. These traditional work centres were established centuries ago, sometimes in the village street, often far away in their own fields. But the pattern of the toil was the same. This quietly vanished a few years ago. 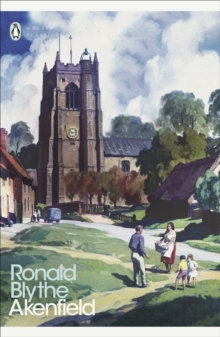 Ronald Blythe describes the going of it in his celebrated Akenfield. 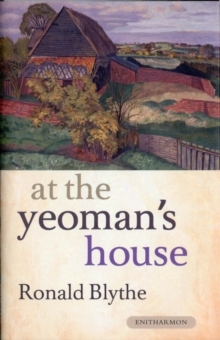 Some years before this his friend John Nash had rescued an already abandoned farmhouse in the Stour Valley from total dereliction. It was called Bottengoms. Nobody knows why. John Nash called himself an Artist-Plantsman. Behind both artist and writer there existed many generations of farmers and shepherds. Old houses will always have their say. 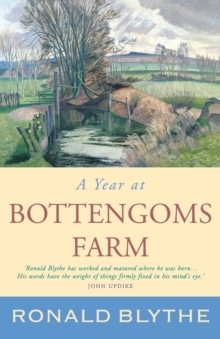 For Ronald Blythe at Bottengoms Farm it was in the form of a meditation on past and present. He found that the ancient place asked more questions than it gave answers, and was challenging, and was energetic rather than spent. It must have been part of a prehistoric settlement in a stony valley and also a farm seen by the young John Constable, whose uncles ground its corn. For they were Bottengoms neighbours, and were known to the artist as the Wormingford folk. Ronald Blythe himself knows what the old farm is talking about. Its great days and routine days, its seasonal labour and play, its faith and despair. Its land was both poor and rich in snatches, flint fields and mossy pastures, vast trees and weeds and high skies. Once Queen Elizabeth arrived to hunt below where the Stone Age people lay in their circular graves. Inside Bottengoms there are telling handprints and footprints everywhere, and this is their tale. It is a tale told by a true countryman who has looked and listened all his life. And mostly in his native place. Pages: 128 pages, Illustrations, map, ports.